I wrote about this previously but wanted to repeat it since it’s such a great value to local residents of Williamsburg, Va James City County , Va. and the Bruton District of Upper York County , Virginia. Also eligible for the the CW Good Neighbor Pass are employees of the local “jurisdictions,” and students, faculty and staff at the College of William and Mary. Students can prove their status with a current student ID card, report card, class assignment letter, or a curriculum approval letter for home-schooled students. Did you know that a one day pass to Colonial Williamsburg and all of the museums costs: $49 for an adult and $24 for a child ages 6-17. Question ? Who is eligible to purchase a Good Neighbor Pass ? Answer : Anyone residing in the City of Williamsburg, James City County and the Bruton District of York County ( Upper York County) will qualify to purchase Good Neighbor Passes. Good Neighbor Passes may be purchased at the Colonial Williamsburg Visitor Center or Lumber House Ticket Office located on Duke of Gloucester ( DOG) Street. You will need your valid Virginia driver’s license with a Williamsburg address, along with a current month’s utility bill (gas, phone, cable, etc.) as proof of residency. Please provide birth certificate or school reports/assignment letters for children. Each member of the family, from the age of 6 and up, must be present to receive a Good Neighbor Card. Cards are just $10 per adult and children up to the age of 17 are free. Since its creation, The Colonial Williamsburg Foundation has encouraged our neighbors in the Williamsburg Area to enjoy the nation’s oldest and largest outdoor living history museum and to serve as ambassadors for Colonial Williamsburg’s programs and businesses. We value this partnership and invite you to be a part of our Good Neighbor Program. For only $10 a year, Williamsburg area residents can enjoy all that Colonial Williamsburg has to offer: The Historic Area, the Museums, and exhibition sites – plus special offers and discounts just for Good Neighbors. 2009 Good Neighbor Benefits — A great value! How do I become a Good Neighbor? To obtain or renew Good Neighbor Cards, visit the official Colonial Williamsburg Visitor Center (open year-round including holidays) or the Lumber House Ticket Office (open seasonally). Bring your valid Virginia driver’s license with a Williamsburg address and a current month’s utility bill as proof of occupancy of a local residence. Examples are: Heating and air conditioning, phone, cable, oil bills. We do not accept mortgage or rental agreements, checkbook registers, phonebook listings, or tax receipts. Resident must prove occupancy not ownership or rental of their residence. Student status can be verified through current student ID card, a class assignment letter, student progress report card, letter of curriculum approval for home-schooled students or other similar documentation. A current student ID card serves as a Good Neighbor Card for students at the College of William and Mary. Faculty and staff of the college must apply for a Good Neighbor Card. 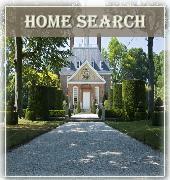 Monthly Specials are posted in the VA Gazette and here on www.WilliamsburgsRealEstate.com or you can call . If you have additional questions or need assistance in obtaining your Good Neighbor Card call 1-800-History. Colonial Williamsburg Good Neighbors receive an added value on dining at taverns when they present their current Good Neighbor Card. Good Neighbors receive a 20% discount on their meal at Shields Tavern. The seasonal dinner menu takes advantage of the bounty from the local marketplace. Dinner served from 5 p.m.
Good Neighbors also receive a 20% discount at the Raleigh Tavern Bakery, where they can enjoy freshly baked treats, and now soups, sandwiches and beverages inside the bakery or in the charming outdoor courtyard. The Raleigh Tavern Bakery is open daily from 9 a.m. until 5 p.m.
GREEN COURSE UNLIMITED GOLF SPECIAL* Play Unlimited Golf Sunday through Thursday! $75 per person. Call 757-220-7696 to book your tee time now! *Price per person includes cart and greens fees Sunday through Thursday, subject to availability. Valid for up to four people. Expires April 30,2009. Additional round may be booked upon completion of first round. Not available to groups. Course operating schedules may vary. BASSETT HALL GARDEN TOURS Bassett Hall, the Williamsburg home of John D. Rockefeller Jr. and his wife, Abby Aldrich Rockefeller, will host “green” programs this spring. A Bassett Hall interpreter will lead guests on Garden Tours at Bassett Hall through the Rockefeller gardens, sharing stories about the family’s visits to Williamsburg in the spring and fall in the 1930s and ‘40s, and about the flora and fauna they loved to see here. Learn about the creative landscape architect that designed the gardens at Bassett Hall and about the events that unfolded under the “Great Oak.” 10 a.m. Wednesdays, April 22 and 29. AMERICAN INDIAN LECTURE SERIES On Thursday, April 30, at 5:30 p.m., please welcome Duane King, director of the Gilcrease Museum in Tulsa, Oklahoma. He will discuss the 18th -century Cherokee delegations that traveled to Williamsburg to negotiate with the Virginia colonial government over issues of trade, peace and alliance. Hennage Auditorium, DeWitt Wallace Decorative Arts Museum, complimentary admission. Purchase and refill Souvenir mugs here. Sample freshly baked treats, soups and sandwiches and partake of beverages to warm or refresh. Indoor seating provides the bakery ambiance or dine in the quaint courtyard. Daily 9:30 a.m. – 4:30 p.m.
Shields Tavern (20% discount with a current Good Neighbor Card.) In the early 1740’s James Shields assumed proprietorship of the tavern that his father-in-law had operated several decades earlier. Tavern guests today dine on southern comfort foods inspired by “colonial receipts.” The seasonal menu takes advantage of foodstuffs available from the local marketplace. Serving dinner from 5 p.m. Purchase and refill Souvenir Mugs at this location. 10% off (does not include alcohol or gratuity). Just show your current Good Neighbor Card or W & M student ID to receive the discount. Now serving dinner from 4:30 to 9:30 p.m. daily through December. Bring the family and enjoy made-from-scratch pizzas and hot subs from our modern open pizza kitchen. We also feature juicy burgers, great appetizers, huge salads,and old-fashioned comfort foods like chicken pot pie, home-style meatloaf,and Southern fried chicken. Or if you just want to sip on a local brew and watch the game, we’ve got you covered with a full bar and cable television. Located on the promenade at the Visitor Center.